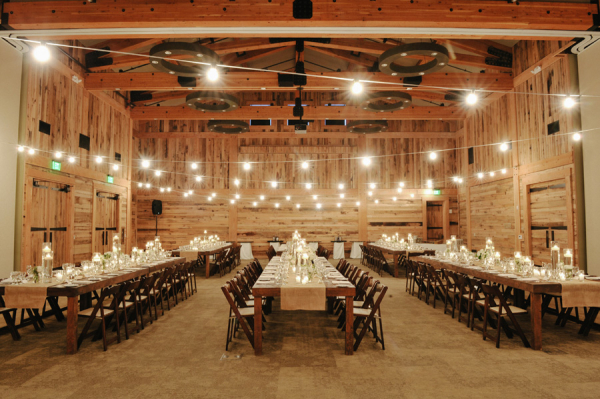 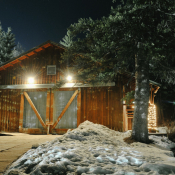 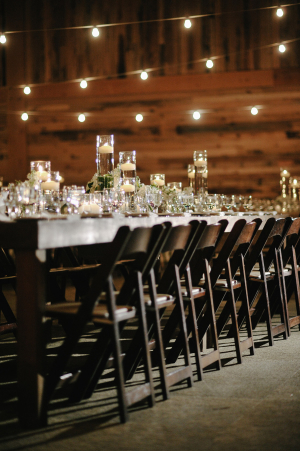 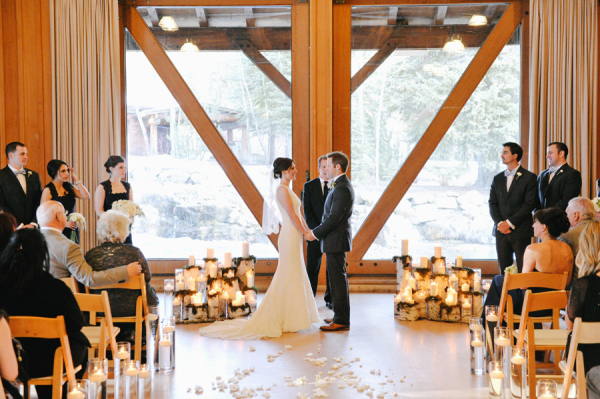 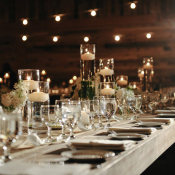 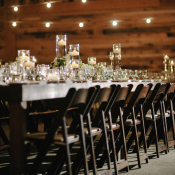 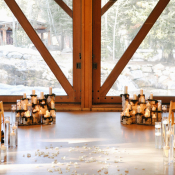 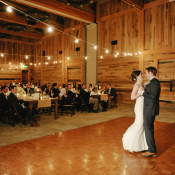 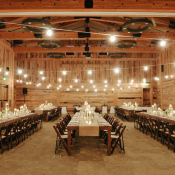 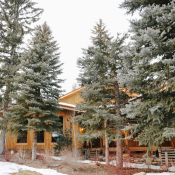 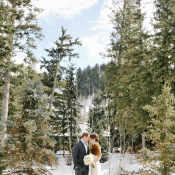 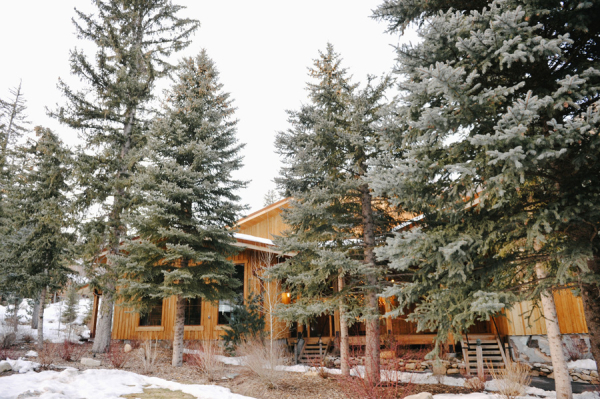 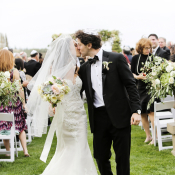 We can’t think of a more perfect rustic-meets-elegant venue than Sundance Resort in Utah—and Liz and Nick’s wedding at the mountain property is a little bit of both! 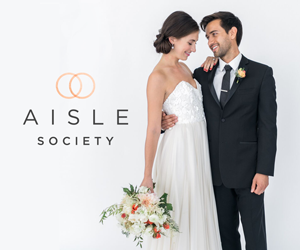 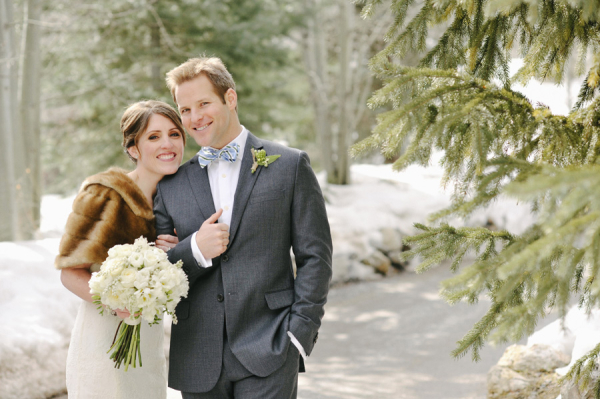 With help from Brittany Farley of Something Blue Weddings & Events, the couple pulled off a flawless fete that incorporated organic, earthy elements and simple cream florals from Artisan Bloom, along with twinkling lights that glimmered in the snowy night. 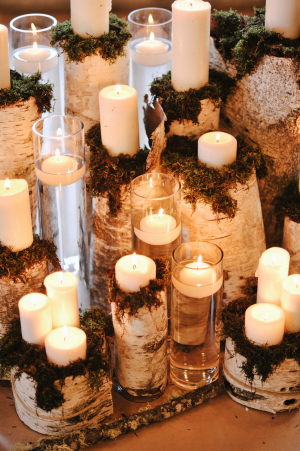 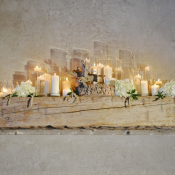 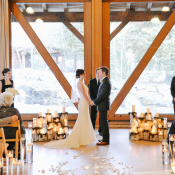 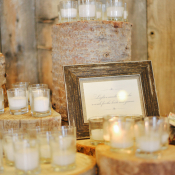 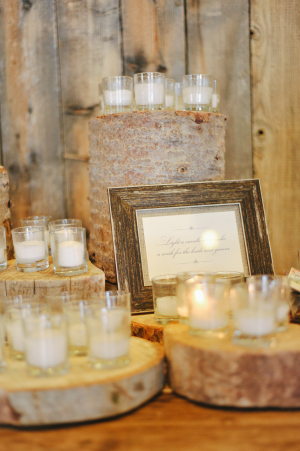 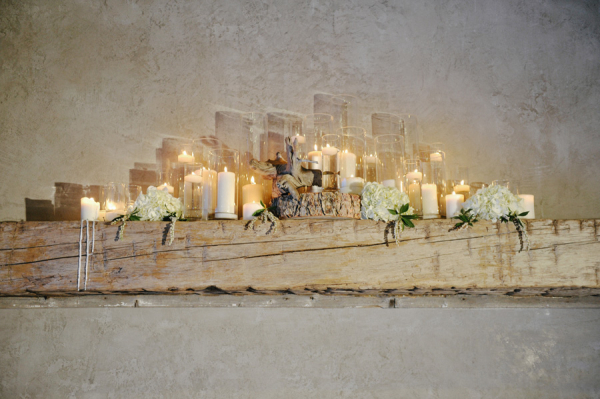 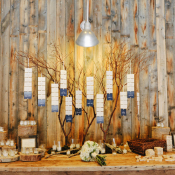 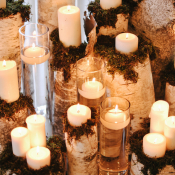 The salvaged wood beam mantel filled with hydrangeas, bark, and cream candles is our fave! 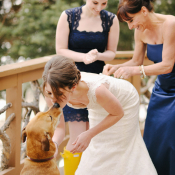 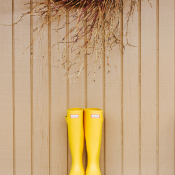 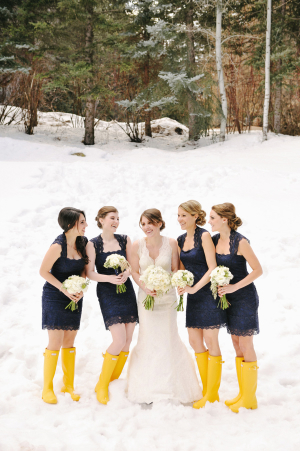 Navy Nicole Miller bridesmaids dresses are lovely, while bright yellow Hunter boots add a punch of whimsy and color to the monochromatic palette. 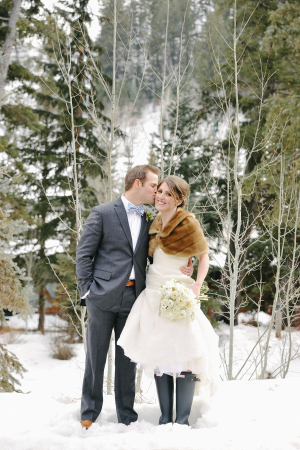 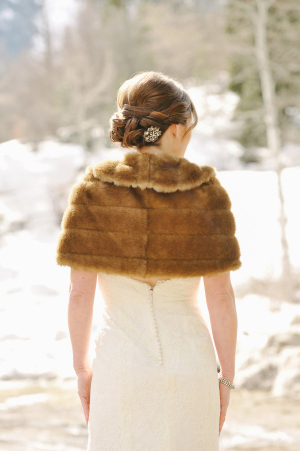 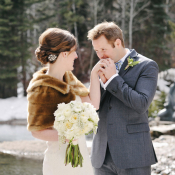 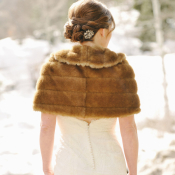 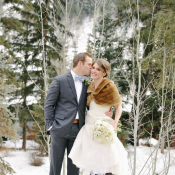 Liz’s Wtoo gown is gorgeous, and we’re absolutely in love with her brown fur shrug—elegant and practical in the snowy mountains! 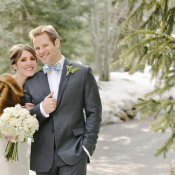 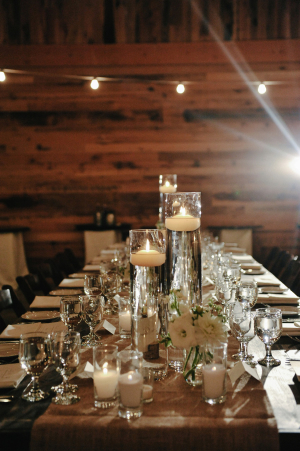 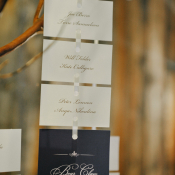 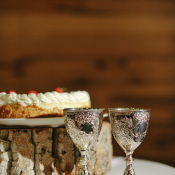 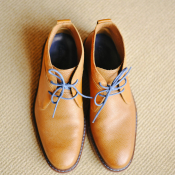 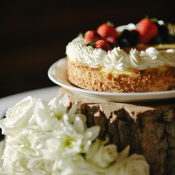 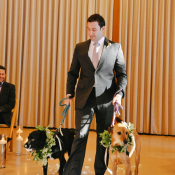 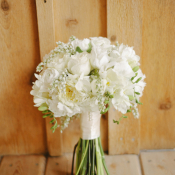 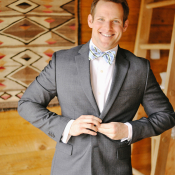 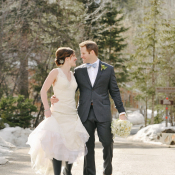 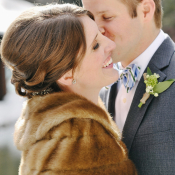 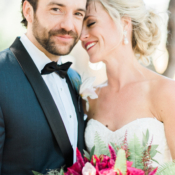 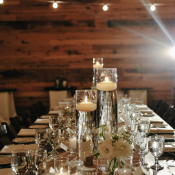 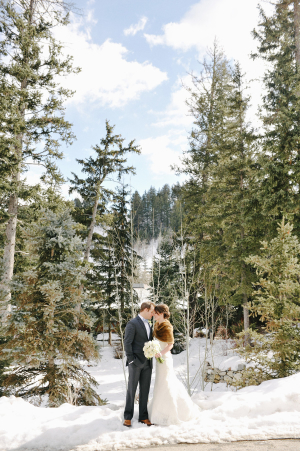 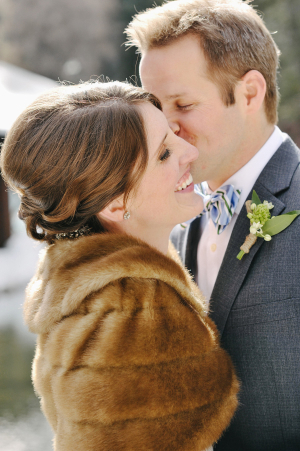 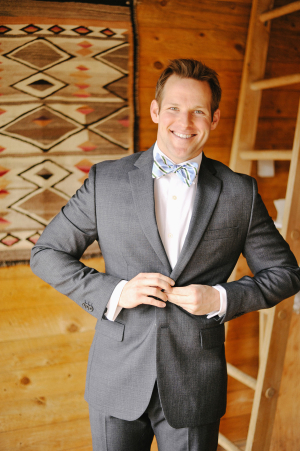 Enjoy these gorgeous winter wedding images from the oh-so-fabulous Rebekah Westover Photography!